The Ayurvedic massage has ancient origins and is a holistic practice: the person undergoing the treatment is considered in their entirety on the physical, mental and spiritual. Vata is a combination of air and ether, and prevails in the slender and delicate persons, which easily leads to nervousness. Pitta is the combination of water and fire and affects passions and feelings. It is the dosha that converts food into energy and regulates body temperature, blood formation and mental activities. Kaphais the union of water and earth. It is the stability of the doshas and is typical of peaceful and tolerant people. The human being is characterized by these three doshas. When imbalances occur, one of the dosha prevails over the other. Rebalancing the energy centre of the body, restoring the psycho-physical harmony, improving attention and concentration, increasing resistance to disease and combating stress: these are just some of the benefits of Ayurvedic massage. Immediately after the session, you may notice a deep muscle relaxation, elasticity in the joints and improved organ function. The person finds his own peace of mind and a greater self-awareness. Ayurvedic massage, if practiced regularly, is also able to promote sleep and dreams. Who is the Ayurvedic massage for? Anyone who wants to prevent aging, or perceives a certain fatigue during the change of season, but also those suffering from cervical arthrosis problems, rheumatism, sciatica, stress, insomnia, anxiety and water retention can undergo Ayurvedic massage. This treatment, in fact, has no contraindications and, thanks to its relaxing method, is often useful to alleviate the pain associated with arthritis and painful menstruation. At the Centro Montesi beauty centre you can choose from a wide selection of treatments. The skin of the body regenerates on average every 20 days, the cells are replaced by new ones, in a natural and physiological process that is helped by undergoing this pleasant Ayuvedic scrub. This Ayurvedic treatment, with its purifying and detoxifying power, is the ideal place to find the general welfare and to take care of one’s skin, which, following the consultation, will become brighter and smoother. The scrub is made from a recipe of all natural ingredients, from turmeric, a powerful natural anti-inflammatory, and mud that cleanses deeply but gently. This treatment is a powerful ally of beauty even for the dry skins, which have a tendency to develop wrinkles in advance, with comparted to a hydrated skin. Abhyanga is a word composed of two words, Abhi which means everywhere and Anga means body. The Abhyanga massage, therefore, concerns the whole body, from head to toe. The manoeuvers of the massage are standard, but the treatment is customized according to the Dosha to be treated. The aim is to rebalance the person as a whole, to revitalize the entire physiology and to promote the free flow of energy. 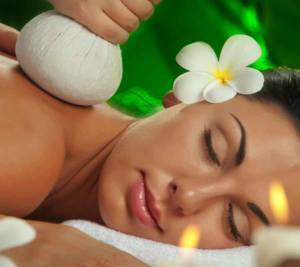 The action of Ayurvedic Abhyanga massage is also aimed at preventing diseases and rejuvenation of the body. After the session, the feeling that you get is that of a complete and total relaxation that pervades the mind and body. Pinda sveda is one of the oldest and most popular treatments, because of the multiple benefits it brings. The Ayurvedic massage is done on a specific part of the body, with cloth bags filled with warm Ayurvedic herbs. The advantages are many: thanks to the heat, Pinda sveda can pacify Vata in depth and to prevent or alleviate rheumatism, arthritis and osteoarthritis. The heat causes sweating of the treated part, and stimulates the expulsion of toxins and increases the blood circulation. Especially recommended for those suffering from muscle tension and fatigue, this treatment purifies the skin deep, it is an excellent adjuvant to fight obesity and cellulite and gives proper nourishment to the body, taking care of your joints and muscles. 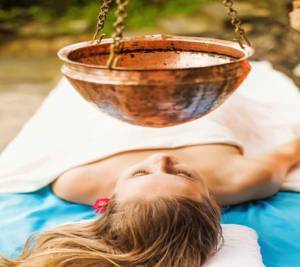 For smoothing, drain excess liquids and to model forms, this Ayurvedic treatment that includes a variety of massage techniques on the whole body. The effectiveness is ensured for the removal of fat and muscle accumulations under the skin. This Ayurvedic treatment restores proper blood flow and the physiological cell turnover, reducing the stagnation of toxins. 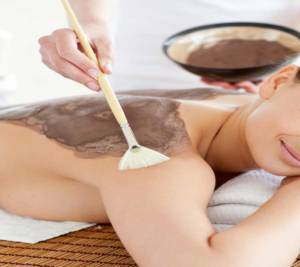 Made with mud and oils, deeply peaceful Kapha dosha massage that promotes deep cleansing of the tissues. The toning action of this Ayurvedic treatment is assured by using a firming mud with a Kapha and Vata oil. These natural preparations help to give elasticity and nourishment to the tissues that have lost their vigor and their hydration. The action includes firming on the whole body, but concentrated on the critical points.